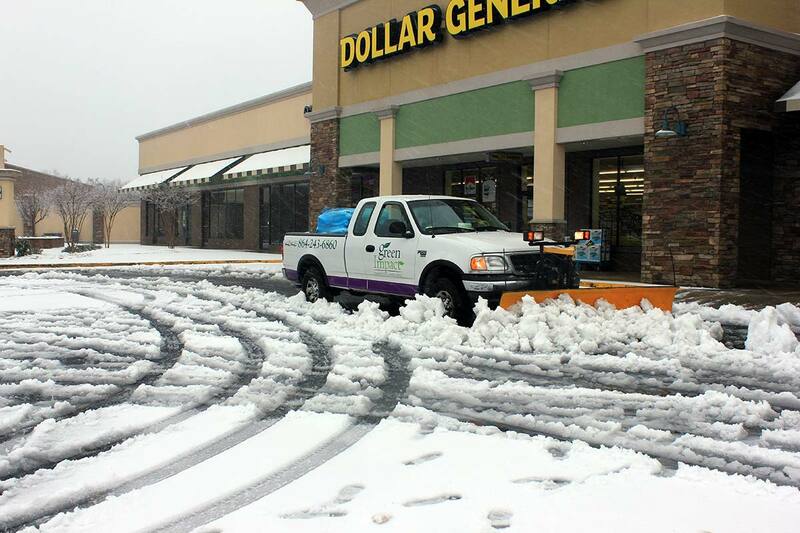 Most commercial property managers and facility managers with sites in the Upstate of South Carolina, have become accustomed to little to no snow accumulation when a winter storm warning is issued. Light dustings in the late evening and into the night only lightly cover landscapes and hardscapes. The accumulation generally melts as temperatures reach 50 degrees by mid-morning, making the storm a memory as we move on to our daily routine. However, every few years the upstate will receive a winter storm that most will coin as “Snow-pocalypse”. Although rare- these snow / ice storms take a drastic effect on our daily life’s, effecting school schedules, creating power outages and making road conditions too difficult to navigate for the general public. 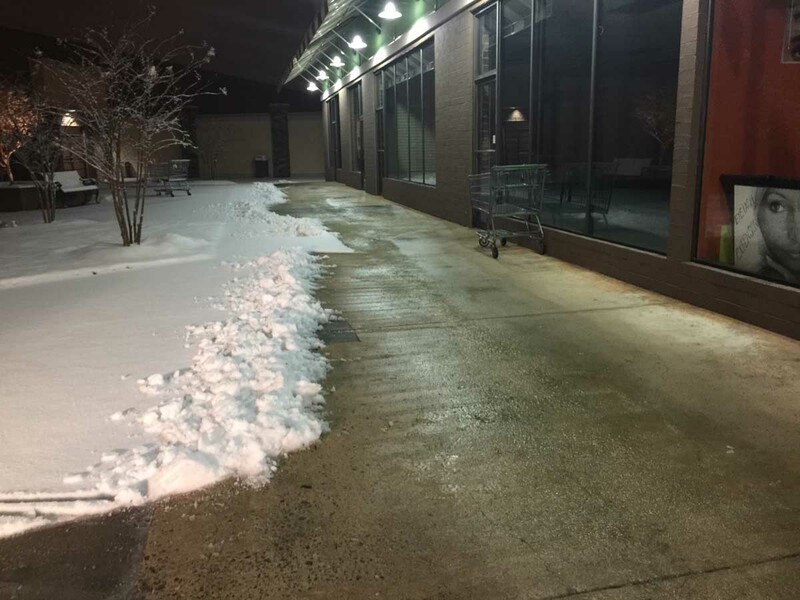 But for those brave souls that are required to get to work, make a trip to the grocery store or have a medical need that requires a hospital visit: having a trained team like Green Impacts Snow Service Staff makes each of these patrons visits safer, once on the site. Having a reliable partner to trust for quick and efficient snow and ice services is critical for any commercial site in the Upstate. We work continuously and diligently to achieve a slip fall environment for every property Green Impact services. As one of the only commercial snow / ice service providers in the Upstate of South Carolina with the equipment to get the job done properly, we are on call 7 days a week 24 hours per day. Green Impact allows all maintenance service clients to add a Snow / Ice service to their yearly landscape contract. This allows commercial property managers, property owners and tenants to be first in line- when inclement weather is predicted. 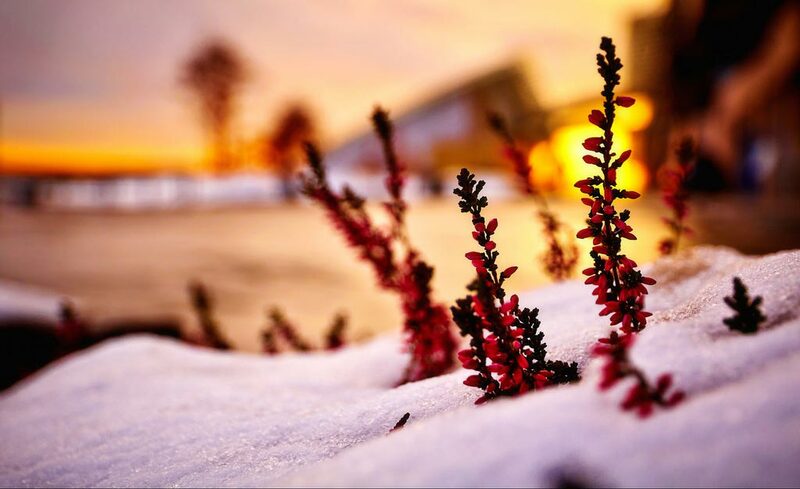 Green Impact Snow Services allows our clients to achieve peace of mind that their site will be serviced properly when winter weather strikes. For clients such as Hospitals and other 24 hour facilities, Green Impact provides snow and ice programs that insures a team of 2-10 people will be onsite during the entire storm. We provide 24-hour coverage to these sites with relief coming each morning. Having a crew overnight is the best way to keep operations running without any interference. The last thing a critical site such as an Emergency Room needs, is someone not be able to enter the facility in a timely manner.